Joe Ingles took his time in the shower, answered all of the postgame questions from reporters and even encouraged a few more. Sure, he was the last person in the Jazz’s locker room, but he wasn’t worried. He knew Donovan Mitchell would be the last person on the team bus. That’s because Mitchell invited “200-300” friends, family, former teammates and more to Wednesday’s Jazz/Knicks game, making his homecoming to the area in which he grew up. Of course, mom Nicole and sister Jordan were part of the group, but so were many more from Mitchell’s 20 years in the area. Mitchell’s more comfortable than he was in his previous visits to New York. Last year, the two trips came in a whirlwind of a rookie year, while the early season trip to Brooklyn found Mitchell in the midst of a relative slump. “Last year, I was still trying to figure out my situation, as far as my role, where I was at, my rookie year. I have an idea of where I’m at, and now I’m trying to build on that,” Mitchell said. 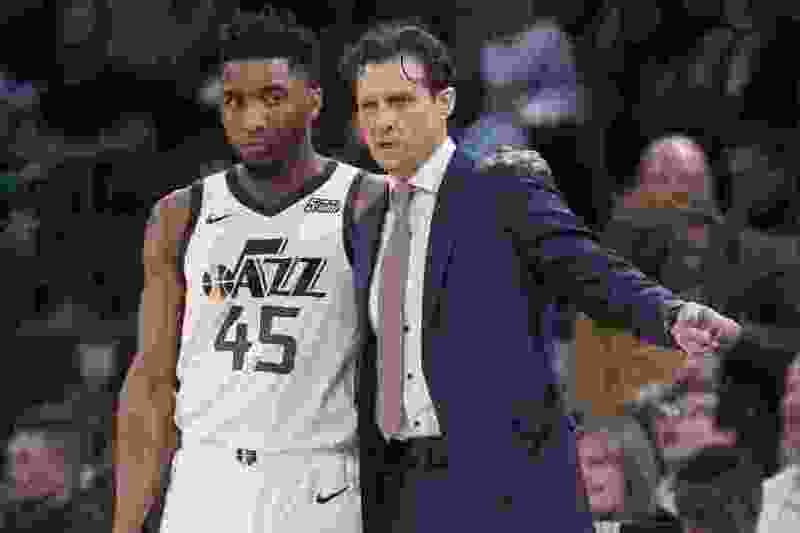 Was Quin Snyder worried about Mitchell being distracted for the game? Mitchell embraced the opportunity, scoring 30 points on 20 shots and in just 28 minutes on the court. Jazz point guard Ricky Rubio also had a special guest in attendance at Wednesday’s game: 12-year-old Luca de la Vega, who is a basketball player for Unió Esportiva Mataró, a club in Spain. When de La Vega suffered a cramp in his shoulder, doctors discovered the presence of Lymphoblastic Lymphoma T cancer. Rubio learned about de la Vega’s story and surprised the youngster by visiting his house in Spain last summer. Then, he flew the young boy and his family to New York for Wednesday’s contest, where he received the VIP treatment: watching warmups courtside, meeting and receiving autographs from all of the Jazz’s players, and hanging out with the team in the locker room after the game.